Schmidt Middle East logistics, a wholly owned company by Schmidt Heilbronn, a world leader in dry bulk logistics and a global specialist for dry bulk polymer logistics, has launched operations of its multi-user logistics hub based in Khalifa Port Free Trade Zone (Khalifa Port FTZ) within Khalifa Industrial Zone Abu Dhabi (KIZAD). This multi-user chemical and petrochemical dedicated hub is set to offer its services to clients within UAE and the rest of the Gulf region and will act as the company’s Middle Eastern Head Quarters. 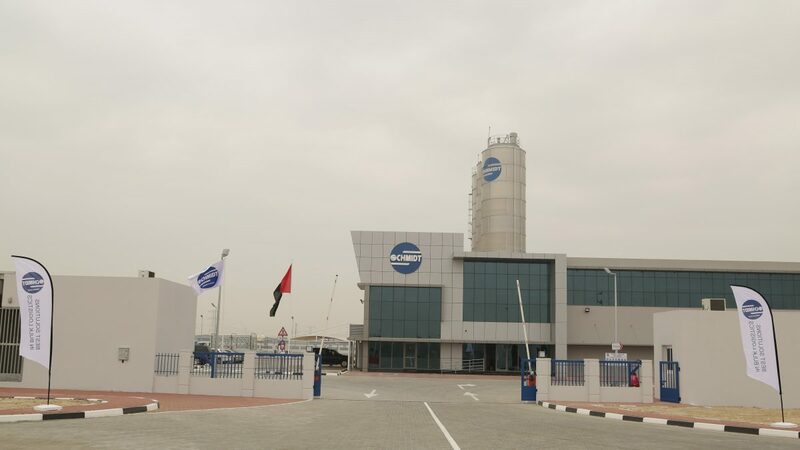 Schmidt Middle East Logistics has leased about 22,000 square meters of prime land at Khalifa Port FTZ in order to setup an economical and efficient solution to store, handle and distribute different bulk materials like polyethylene, polypropylene, catalysts and additives for the chemical and petrochemical industry. “We continue to develop our infrastructure and facilities in the region as part of our commitment to our customers, and in order to facilitate the growth and efficiency of their operations in the region. We are confident of the future growth of this sector in the region, and we will continue to offer world-class services we are known for,” he added. “The readily available supply chain connections at KIZAD, coupled with excellent transport infrastructure allow our investors to receive materials and reach their clients and markets fast, smoothly and cost-effectively. It is such services that attract major players such as Schmidt ME Logistics to Khalifa Port FTZ in KIZAD. To date, we have over 130 investors benefitting from our outstanding services and access to regional and international markets,” Mr. Al Mulla concluded. The AED 20 million facility allows Schmidt to open the gates for highly specialized logistics in this region, with UAE playing an important role as a distribution hub for the GCC. 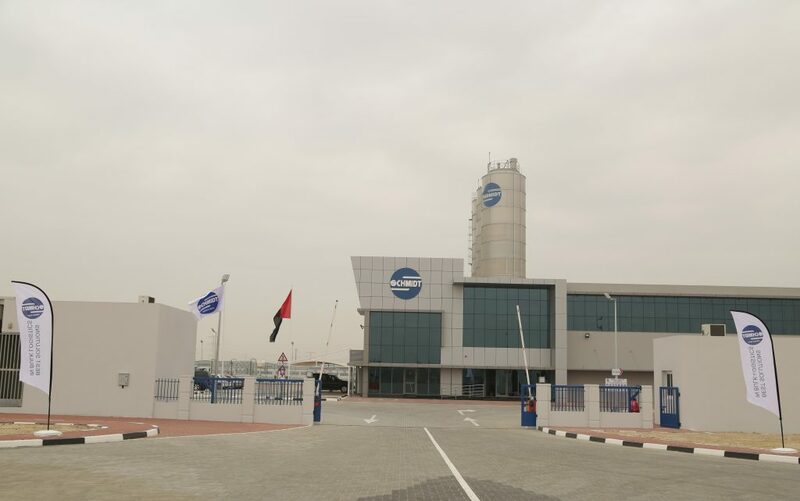 Schmidt ME Logistics facility at Khalifa Port FTZ comprises a warehouse providing about 2000 square meters of storage area, a silo battery containing nine silos, a tilting platform, a packaging line, a repair shop and a service station, as well as offices and social rooms. In addition, the facility offers services such as truck transport and customs clearance. To and from its warehouse and silos bunker storage, Schmidt ME Logistics will provide transport services for dry bulk products, packing dry bulk goods into maritime containers and managing overseas long haul and short sea transport to end user locations. Schmidt was established in Heilbronn, Germany in 1948, and is one of the world’s leading dry bulk logistics solution providers.